Posted February 24th, 2014 by Kitty Ku & filed under Diversity, Identity. How can we become a more united and inclusive community? UBC Dialogues will be exploring this question on February 26th, featuring Alden E. Habacon. The North Shore, like other Lower Mainland communities, attracts people from all over the world. In recent decades, significant Chinese, South Asian, Persian and Filipino populations have settled in the area, with many forming cultural communities alongside what previously existed. Although challenges occasionally arise, the resulting cultural mosaic has led to opportunities that don’t exist in other communities. How can we use our cultural differences as a pillar of strength for the broader community? Do current government policies, civil society activities, and societal attitudes contribute to a feeling of unity, or create unnecessary divisions? How can we make the most of our cultural richness? This community dialogue is held in partnership with the North Shore Welcoming Action Committee, the West Vancouver Memorial Library, and the Kay Meek Centre. Program begins at 6:30 pm with a reception to follow. This event is open to all and free of charge, but an Online RSVP is required by Monday, February 24th, 2014. Please contact Berkley Weiler at berkley.weiler@ubc.ca or 604-827-5831 for any questions. Mark Forsythe moved west in 1974 fresh out of London’s Fanshawe College. He stepped off the ‘Rupert Rocket’ at Smithers, learned the ropes in private radio there, and later became Program Director at CJCI in Prince George. After joining CBC Radio at Prince Rupert in 1984, he hosted and produced the regional afternoon and morning programs. 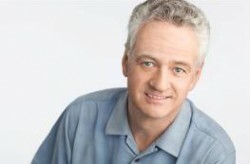 When CBC established bureaus in Prince George and Kelowna, Mark moved to the Okanagan to co-host Daybreak, then to CBC Vancouver in 1990 to host the Afternoon Show for five years. He’s been with BC Almanac ever since. Mark released the British Columbia Almanac (Arsenal 2001) with net proceeds directed to B.C. Childrens Hospital. The B.C. Almanac Book of Greatest British Columbians followed (Harbour 2005, with colleague Greg Dickson), with royalties to Friends of the B.C. Archives. To celebrate B.C.’s 150th anniversary, Mark and Greg published a book about the gold rush, The Trail of 1858 (Harbour 2007) with proceeds directed to the B.C. Historical federation. Mark was co-winner of a Webster Award for a documentary on native/non-native relationships and won other awards with CBC news and current affairs teams. Passions include reading and writing – with a focus on B.C. authors (he contributes to B.C. Bookworld), running, fly fishing, photography, travel and plucking guitar. Mark lives in Fort Langley where he publishes a small heritage newspaper called THE FORT. 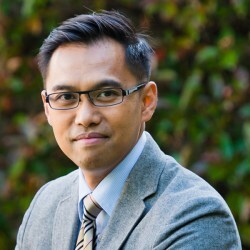 Alden E. Habacon is an accomplished diversity and inclusion specialist, and leading thinker in social sustainability. His work is focused on embedding diversity and intercultural fluency in organizational cultures and harnessing diversity to achieve strategic goals, and is well known for introducing Multiculturalism 2.0 and 3.0. He is a sought-after speaker and consultant in Canada and around the world. He has spoken on the evolution and future of multiculturalism at the Couchiching Institute of Public Affairs (CIPA) Summer Camp, and for Canadian Heritage, Citizenship and Immigration Canada, the Canadian Food Inspection Agency, the Department of Justice, the National Managers Community (of the Canadian public service), The Federation of Community Social Services of BC, the Affiliation of Multicultural Societies and Services Agencies of BC, EmbraceBC, and the Intercultural Association of Greater Victoria. In 2010 he was appointed the Director, Intercultural Understanding Strategy Development for UBC, where he is leading the development and early implementation of the University’s commitment to intercultural understanding. Alden is also the founder and Publisher of Schema Magazine (www.schemamag.ca), an online platform about the intercultural identities of 1.5 and Second-Generation Canadians, and the co-founder of the Asian Canadian Journalists Association (ACJA) in Vancouver. He was the Manager of Diversity Initiatives for CBC Television between 2004 to 2010. He is the recipient of the 2010 Power of Peace Award of the YMCA of Greater Vancouver, and the 2011 Leadership Honouree, in the area of Arts and Media, of the North American Association of Asian Professionals (NAAAP) of Vancouver. Daniel Hiebert is a Professor of Geography at UBC and Co-Director of Metropolis British Columbia, a centre of excellence dedicated to studying immigration and diversity. His research focus is on the integration of immigrants in Canadian cities, particularly on issues related to their participation in housing and labour markets. He has published this research in a series of Metropolis Working Papers and in academic journals that include: The Canadian Geographer, The Canadian Journal of Regional Science,Economic Geography, Planning Perspectives, and BC Studies. He is also engaged in international collaborative projects on these subjects, with scholars at the University of New South Wales, the University of Amsterdam, and the Institute for Migration and Ethnic Studies in the Netherlands. Lidia is a Director at the Vancouver Foundation Granting & Community Initiatives. In this position Lidia oversees Arts and Culture granting for the province, partnership projects including the Neighbhourhood Small Grants and the Vital Signs community research project. She holds a Master’s degree in Health Promotion from Dalhousie University. Previously Lidia spent 16 years at BC Children’s Hospital as the Executive Director, of the provincial health promotion program. She has also served as the Director of Child Health Advocacy for the Hospital. Prior to moving to BC, she was the national Media Director for ParticipACTION, and was the National Project Director of the Ontario Public Health Association’s National Literacy and Health Project, a program to increase awareness about the link between literacy and health. Lidia is also active on various volunteer Boards including serving as President of the Kindness Foundation of Canada and is Vice-President of the World Kindness Movement. Jian Pablico is passionate about empowering youth and movement. He was born in the Philippines and raised in Vancouver. He is a Professional Icebreaker, CrossFit and MMA Conditioning Coach, brother, husband and proud father to a bustling boy. Jian is all about empowering you(th) and the comm(unity) through work as a facilitator, youth programmer, Martial Artist and Movement coach. Jian is currently a facilitator for SafeTeen International, Neonology, the founder of the Vars/ty Initiative and the co-owner of Distrikt Movement. He has worked in the field of Children & Youth for over 13 years, dedicating his time in supporting youth in Sports, Martial Arts, Play and of course in navigating through their adolescence. Dr. Anita Parhar is a graduate of the Department of Educational Studies, Faculty of Education, UBC, where she has been an instructor for the past 10 years. Her teaching interests focus on exploring how Canadian educational practices of families, communities, and schools influence, and are influenced by, social issues — diversity, multiculturalism, and racism — and historical, socio-economic, and political factors. Anita is also an honorary lecturer in the Faculty of Medicine where her teaching and research interests involve examining critical issues in health care for marginalized populations, from a social justice and health equity perspective. She also served on the Social Responsibility and Accountability Working Group for the MD Undergraduate Program. Additionally, Anita is the co-host of “Pearls for Success,” a weekly television program which targets the well-being of new Canadians, specifically in the areas of health, education, finance, and law. Episode topics often emerge from discussions with community members or by request. Anita frequently provides presentations to future health care providers and educators on the issues of cultural diversity and professionalism.